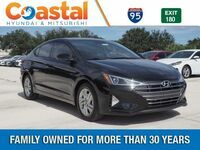 One of the most popular Hyundai sedans is the Elantra model. This doesn’t seem to be changing for the year 2019, either. That’s why it’s easy to pick a sedan when you are shopping for your next new vehicle. But what can we see about this model? 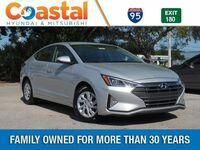 Check out how it compares to the popular 2019 Honda Civic. Hopefully you’ll be able to decide which model you are more interested in by the end of this comparison! Take a look at the table below to see some of the differences between these two sedan models. 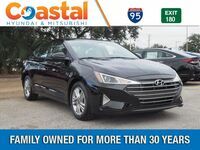 As you can see below, you’ll start off with a significantly lower starting MSRP on the 2019 Hyundai Elantra. So, you can potentially find yourself paying less for the Elantra than for the Civic. 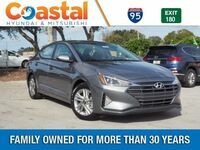 But there are more benefits than just price when you drive a Hyundai Elantra. Check it out below! 5 yr. / 60000 mi. 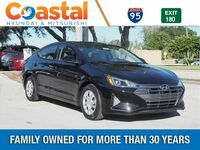 Basic Warranty 3 yr. / 36000 mi. 14.4 cu. ft. Cargo Space 15.1 cu. ft. These two models are extremely close when it comes to their fuel economy. The Elantra has 1 more mile to the gallon in the city than the Civic. However, you can still potentially find yourself driving further on a tank of gas in the Elantra than in the Civic. This is because it has a larger fuel tank. The 1.6-gallon advantage can be a big help when you are travelling longer distances. You’ll also have a longer basic warranty for the Elantra than in the Civic. The Elantra has 5 year or 60,000 miles. So, your Elantra will be under warranty longer than the Civic will. One advantage that the Civic does have over the Elantra is a bit more cargo space. It has half a cubic foot more of cargo space than the Elantra does. 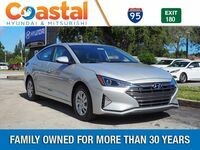 So if you are primarily looking for a spacious sedan and every bit of cargo space matters, then you may actually want to go with the Civic over the Elantra. 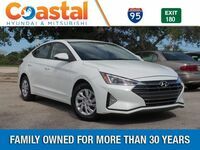 Do you have more questions about your future Hyundai vehicle? 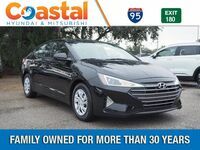 Contact us here at Coastal Hyundai! Our team of professionals would love to tell you more about the Hyundai vehicle lineup.